Can you believe Labor Day weekend is upon us? Here at Homestead, we certainly can’t! The unofficial end of the summer season may be here, but there is still plenty happening around town! 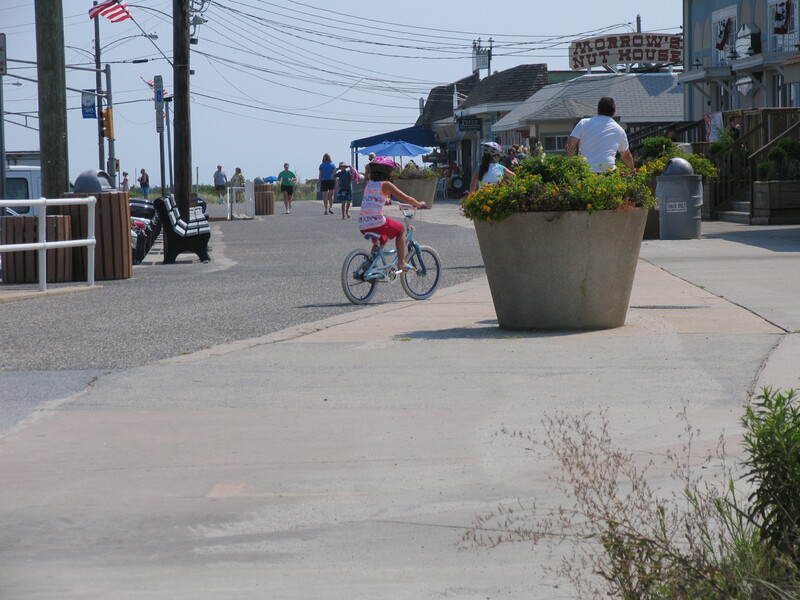 For those of you who are Cape May veterans, you know that unlike numerous other resort communities, our town does not close for the season on Labor Day weekend. In fact, a whole new season begins. Often referred to as the “shoulder season” or “value season”, this is the time of year when a majority of our rental homes offer competitive pricing, short term rentals, flexible check in/out times, and more! The required rigidity of the summer season is replaced by a welcome and more relaxed pace during the week, followed by weekends with a buzz in the air rivaling any day in July or August. It’s the perfect time of year if you’re truly looking to experience a bit of everything that Cape May has to offer. The West Cape May Tomato Festival will take place on Saturday, September 3rd between 9:00 am and 5:00 pm at Wilbraham Park. The festival celebrates the Jersey Fresh Tomato and the end of the summer season. All proceeds will benefit the West Cape May Shade Tree Commission. Be sure to visit the Homestead team while you’re there. 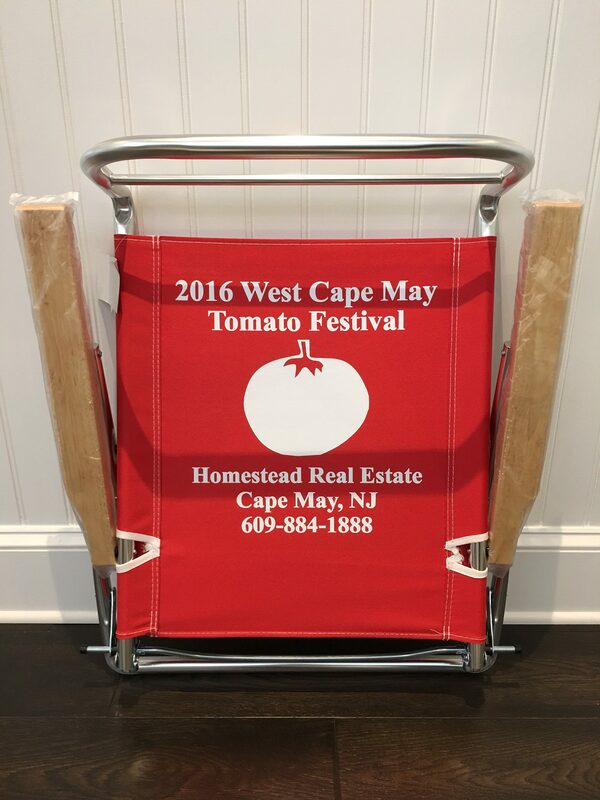 We will be on site to answer your real estate questions, and you know you want to enter for a chance to win the 2016 Tomato Festival beach chair! Entertainment will include a performance from The Squares, featuring Homestead’s very own rental team member, Debra Donahue. We look forward to seeing you there! 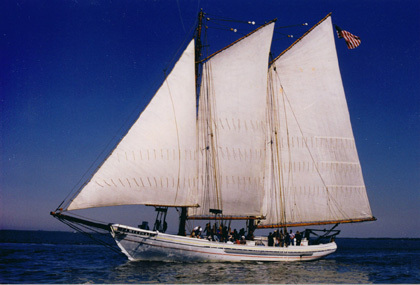 After a visit to the Tomato Festival, enjoy an afternoon sail on New Jersey’s historic tall ship, the A.J. Meerwald. Reservations are suggested for this event, and tickets are required for all passengers. Head on over to Utch’s Marina at 1:30 pm (until about 4:00) and experience the fascinating A.J. Meerwald while learning a good deal of history while you’re at it. This is a perfect family event and will certainly provide the kids with interesting discussion during their upcoming first weeks in school! On both Saturday and Sunday, September 3rd and 4th, the ever popular summer send off craft show will be taking place on Cape May’s promenade. The show will be open from 10:00 am until 5:00 pm and will feature a wide variety of handmade crafts including jewelry, clothing, and home decor! If you’re leaving Cape May for the season, the craft show is the ideal arena to pick up a little piece of the town that can remain with you throughout the year. Saturday, September 3rd and Sunday, September 4th at 7:00 pm there will be a FREE concert at Cape May’s newly redesigned Rotary Park (between Decatur and Jackson streets). Enjoy the sounds of The Cumberland County College Jazz Band and Wind Symphony on Saturday. On Sunday, the Cape Harmonies will be performing. The concerts are fun events for the entire family to enjoy. Head over to 500 Hughes St. on Saturday, September 3rd at 8:30 pm to see the final performance of “Dracula”, presented by the East Lynne Theatre Company. The possible rainy evening will create the perfect setting to experience this classic drama! ON Sunday, September 4th between 10:30 am and 4:00 pm, Cold Spring Village is the place to be for “Hands on History”. Have fun at attempting crafts and trades from the 1800’s. Children can even receive free treats from the country store for completing activities! In addition to these holiday weekend events, don’t forget to experience Cape May like a local. Check out some of our tried and true favorites that recur throughout the fall, including Fire Pit Friday at the Willow Creek Winery in West Cape May, Open Mic Night a the Mad Batter on Sunday, September 3rd and Dulaney & Rutherford at The Rusty Nail on Monday, September 4th. Homestead knows that at this time everyone has their eyes on the weather forecast…and we do as well. We will be open Friday, September 2nd and Saturday, September 3rd from 9:00 am until 5:00 pm, and we will do our very best to provide information regarding any changes to planned events, as well as cancellations should they occur. At this time we believe it will only be outdoor events that will be subject to cancellation and or weather related adjustments. As per usual, Homestead will be closed on Sunday, September 4th. We will also be closed on Monday, September 5th in observance of the Labor Day holiday. We will return to the office promptly at 9:00 am on Tuesday, September 6th. Please remember that our state of the art sales and rental websites are available 24/7, so we encourage you to explore them. The slower pace of autumn is the ideal time to begin researching next year’s vacation…or maybe even consider a permanent vacation with a move to the Cape May area! We wish everyone a safe and enjoyable holiday weekend and look forward to an exciting autumn season. The summer may be drawing to a close, but the fun times in Cape May most certainly are not.